Maximilian Daniels is an emerging Australian Artist living and working in Sydney, NSW. Daniels’ completed his artistic training at UNSW ART & Design in Sydney, where he finalised a double degree, one being his Bachelor of Arts in painting and drawing. His practice is an ongoing investigation into abstract painting and techniques used to construct an abstract image. His practice involves and interrogates traditional notions of observation, representation and technique. Daniels’ draws upon the repeated processes and materiality of painting; mixing of colour, composition of the painting ground, layering of surface, and the application of the mark to develop visual observations of the action of painting itself. 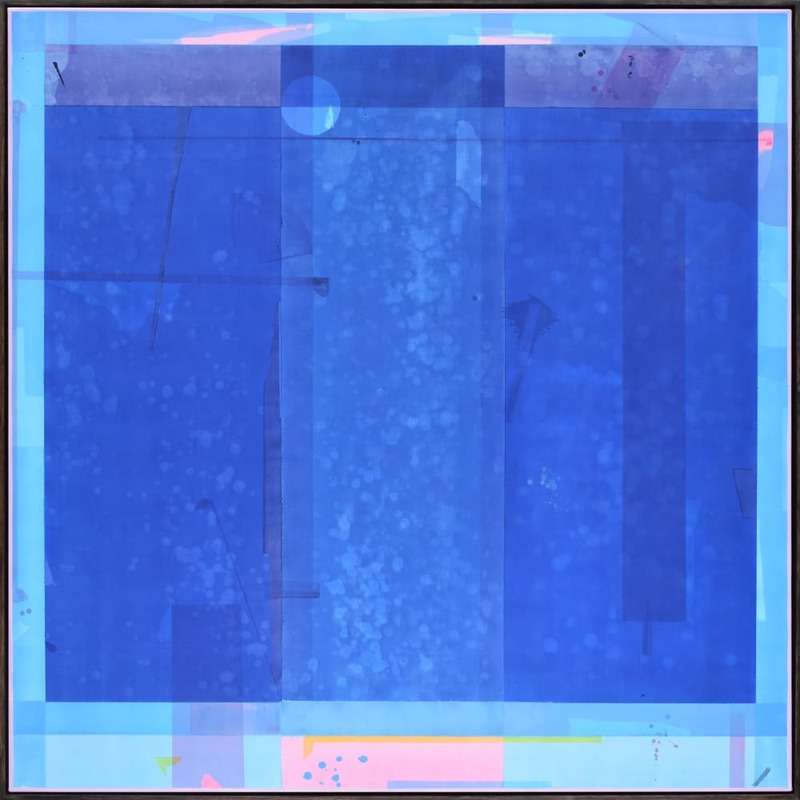 Through repeating techniques used in his practice Daniels creates work that examines colour and its relation to gesture and materiality in painting. By sequentially layering colour, Daniels creates delicate complex surfaces that emerge over time and examine the subtleties of colour. Each layer of material, primer and paint is visible as part of the superficial surface of the final image. The result is an image that holds both depth and flatness, and its own form of “temporal perspective”. The inherent materiality of Maximilian Daniels’ work challenges and deconstructs commonly accepted notions of what constitutes an image. Although very much informed by the process of observation and representation, the final image is devoid of all figurative imagery. Through using each process and material as both subject and substance for creating the image, Daniels elucidates a novel approach to the ‘image’ and the painting process.